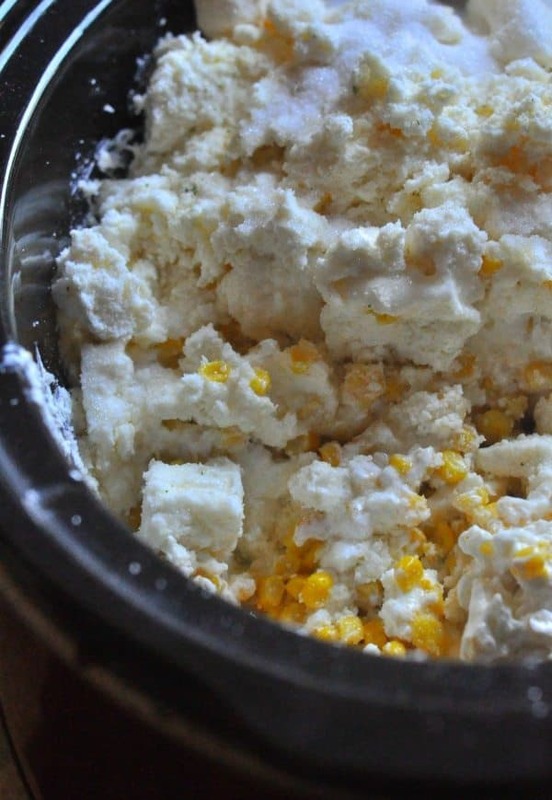 This Crockpot Creamed Corn from Alice Seuffert is first in our recipe series of Timeless Traditions. This series honors the recipes that hold special places in our lives and mean more than just filling our bellies. These recipes bring memories of people, places, times, and events. The women sharing these recipes are sharing more than just a recipe, they are sharing precious moments of their childhood. Each and every post in this series is a reminder of the unifying power food has in ALL of our lives. Food is powerful to strengthen relationships across all homes, all over the world. Which is why, here at NellieBellie, we are super passionate about getting you in the kitchen making and baking for your people. 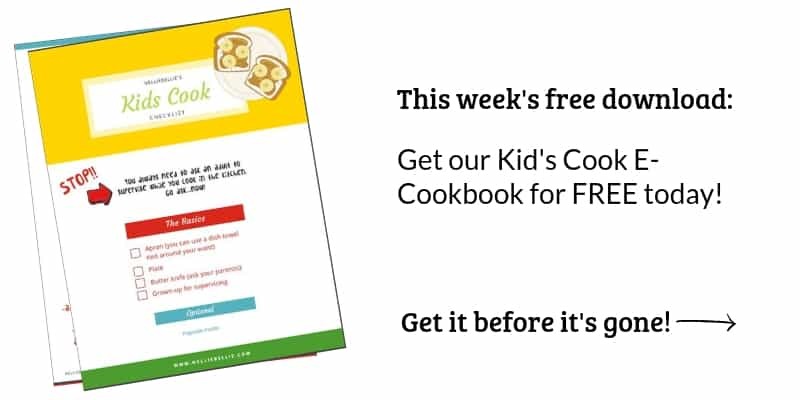 This series is a passion project for us and our hope is that these recipes fill your bellies with delicious food and these stories fill your hearts and souls with love and joy. Please, share your own recipes, comment and let these women know you appreciate their time and willingness to give a bit of themselves. And please, create memories of your own. I would fling my seat belt off, throw open the car door, and start running towards the small stone house. With no regard for my parents or siblings left behind, I made my way towards my grandparents’ house. First in the house meant first hugs and I wasn’t going to let anyone else get in the house before I did. I’d open the screen door, pop off my shoes (like all good Minnesotans do), and head straight into the kitchen. There, in the small, wooden paneled room were my grandparents cooking away the day. We knew it was a big family gathering day when the house smelled of fried chicken. Family members would file in, cousin after cousin would race in the door, circle around the grandparents and we’d all settle into the living room until we were ushered into the kitchen. My Granny Alice was a lunch lady in the local school district and just like the lines at her school, we’d walk single file into her kitchen to have our plates filled. Fried chicken was our traditional meal for big family gatherings. We always had traditional sides like mashed potatoes, gravy, and always, corn. It was true comfort food. 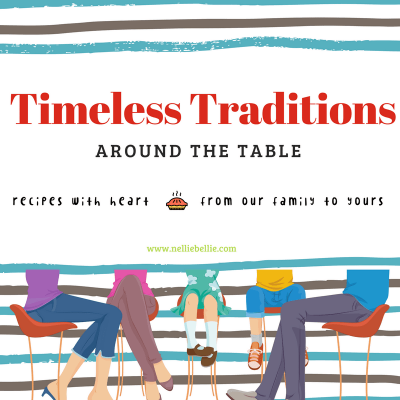 Recipes that took care and time and brought our family together. Unfortunately, when my grandparents passed away, those big family meals stopped. The grandkids grew up and had our own kids. My mom decided to start teaching each one of us how to cook some of our family recipes. We started having big family meals again as a family. When we gather together now, cousins fly through the door just like they did when we were kids. The aunties and uncles care for all the cousins like their own kids: filling their plates and pouring their glasses of milk. We catch up together and we sit next to each other at the table sharing home-cooked meals made with love. One thing I’ve learned from hosting many family meals is often times, people are just happy to be gathering around together no matter what’s on the menu. We don’t need to be afraid to make meals or side dishes in our Crock-Pot because they aren’t “fancy” meals. People love Crock-Pot meals and sides! In Minnesota, we have so many uniquely Minnesota foods. 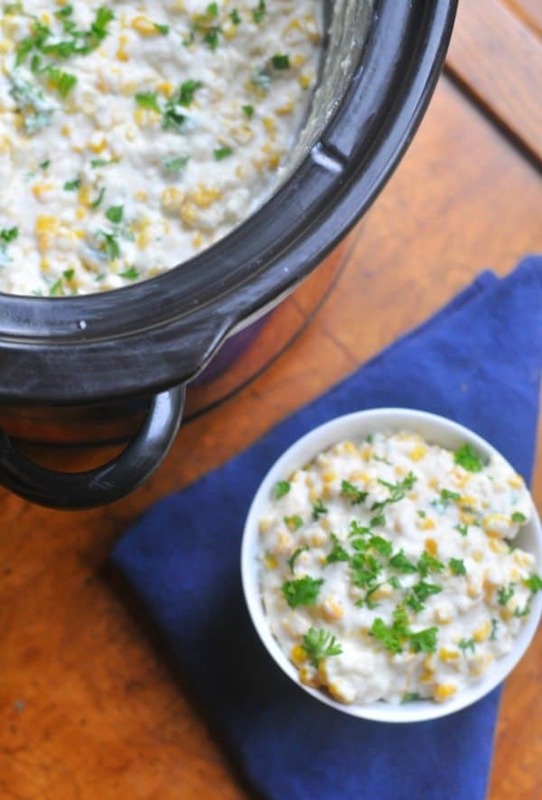 We love our SPAM and Creamy Wild Rice soup, and we also love Crock-Pot Creamed Corn. 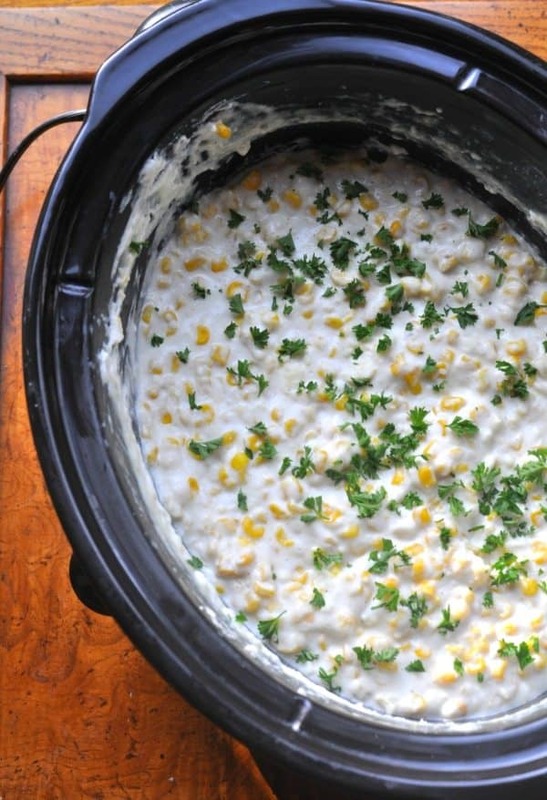 If you are lucky enough to be invited to a potluck in Minnesota or a holiday gathering, you will likely experience Crock-Pot Creamed Corn. It’s, of course is creamy and cheesy, with a sweet and savory flavor. 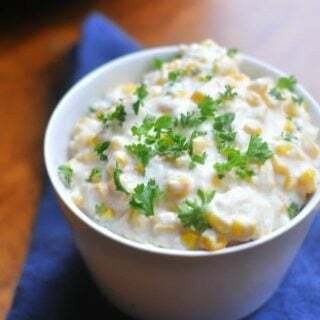 What I love most about this Crock-Pot creamed corn dish is that it’s perfect for family gatherings, especially holidays, when you are serving ham or turkey. Holiday gatherings are my absolute favorite meal sharing time. All the meal prep, even for someone who loves to cook, can be overwhelming. So it feels so good to be able to make some of the meal right in the Crock-Pot slow cooker! I’ve made this Crock-Pot Creamed Corn for many family gatherings (it makes so much so you need to make it for a crowd). It reminds me of those big family gatherings I went to when I was a kid and seeing the giant casserole dish of corn sitting on the counter, waiting to be scooped on the next family member’s plate. This creamed corn isn’t super fancy, but it so comforting and so incredibly easy to put together which is such a relief when you have a big group or family coming over or when you are headed over to someone else’s house for a holiday meal. 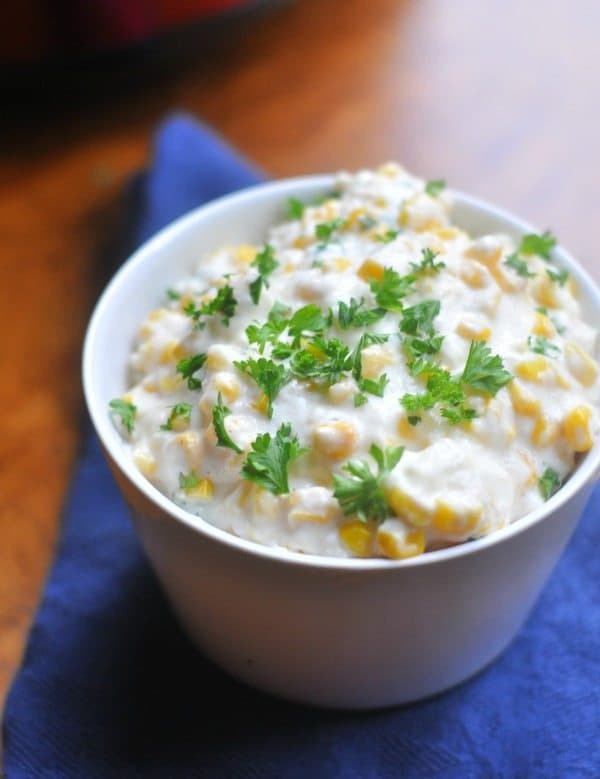 Use whipped cream cheese because it blends into the corn easier. I love Queso fresco cheese, it is a crumbly and salty cheese. You can find it in the dairy section of your grocery store. I like to brighten up the dish by garnishing it with chopped parsley, you could also serve it without and sprinkle the top of the corn with a bit of smoked paprika. 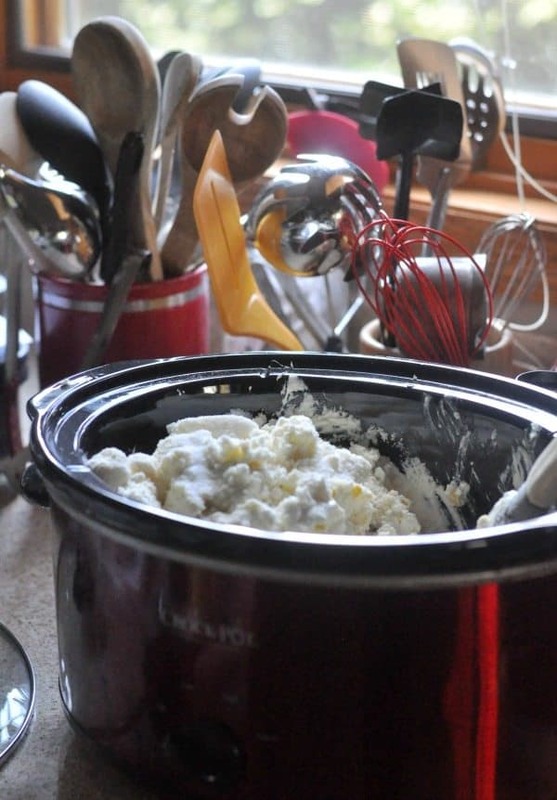 In a Crock-Pot Slow Cooker, combine corn, cream cheese, sour cream, queso fresco (crumble into small pieces), parmesan, garlic salt, and white sugar. Stir to combine. Cook on high for two hours. Once cooked, stir and salt to taste and add chopped parsley if desired. Alice Seuffert is a writer and the creator of Dining with Alice where she helps moms savor and celebrate motherhood. 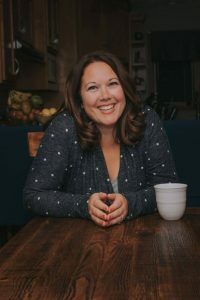 Her mission is to provide great recipes for your families, honest conversations about motherhood, and help you make room for who and what you want in life. Stay connected with Alice on her Facebook Page and don’t miss her heartfelt essays and creative recipes!